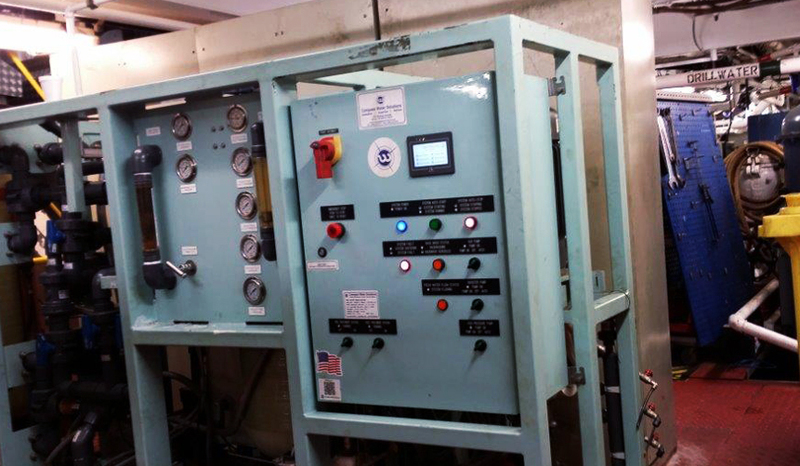 An owner of an offshore drilling rig contacted Marship Engineering with a “reddish-potable water” problem in their accommodation areas. After installation of a new RO-plant the rig’s water distribution network was exposed to RO water with an acidic nature and that caused a wash out of protective layer of calcium and bi-carbonates deposits in the water piping and distribution network. After analysis of the situation including water sampling and water quality analysis we advised to post treat the RO water via a chemical dosing unit to increase pH level and positive LSI-index. We are highly experienced in solving potable water issues.